This is a brand new Damascus ring I'm offering. 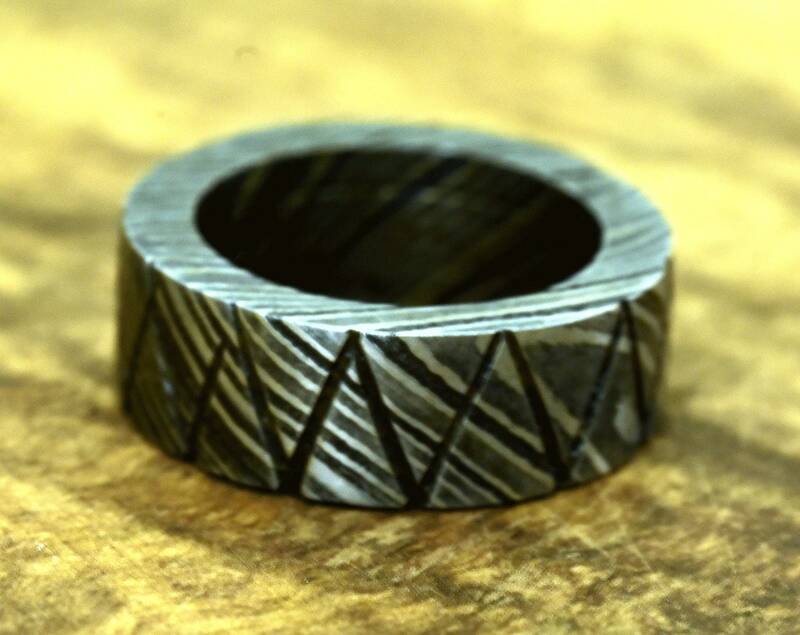 Damascus rings are hand forged through a process of layering, melting and hammering. Because of this, each ring has its own unique design or some say fingerprint. - Orders of 10 or more pcs can be fully customized, you have an option to submit your design for manufacturing. • A Great Return Policy (If the ring doesn't fit just send it back and I'll send over another Read Below) A lot of places won't do this but I understand how hard it can be sometimes to get the right fit. All sizes listed are Ready to Ship Same Day or Next Business Day depending on time of order and it will get to you super fast!